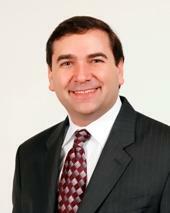 Chad M Sherwood is an experienced litigation and bankruptcy attorney. He received his undergraduate Bachelor of Arts in both political science and philosophy from Rutgers College. He then received his Juris Doctor with Honors at Rutgers School of Law - Camden. While attending Rutgers School of Law - Camden, he was honored with the Corpus Juris Secundum Award in Contracts. Mr. Sherwood served as law clerk to the Honorable Carmen H. Alvarez, Superior Court of New Jersey, Cape May County, during the 1999-2000 year, before eventually becoming an associate with the Youngblood, Lafferty & Sampoli law firm. While there, his field of work included commercial litigation, civil litigation, bankruptcy, real estate, property rights, public trust, appellate work and collections. On November 7, 2011, he opened the Law Office of Chad M Sherwood, LLC, where he continues to represent individuals and businesses throughout southern New Jersey. Mr. Sherwood previously served as a Trustee of the Atlantic County Bar Association.